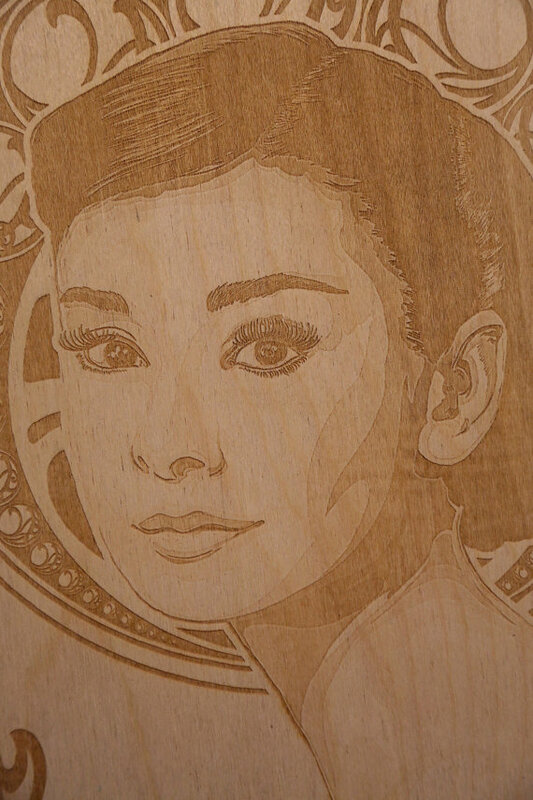 Above is a laser engraved Baltic Birch wood Audrey Hepburn picture from Bumble Bunny Media. 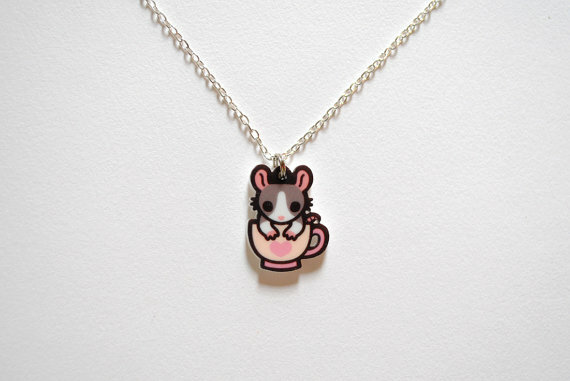 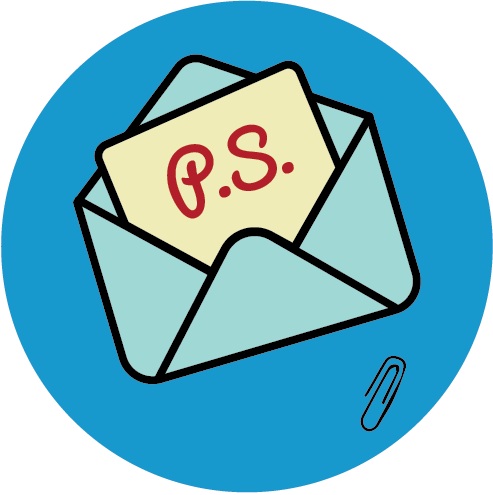 Above is a laser cut acrylic charm from PooKatDinoCrafts. 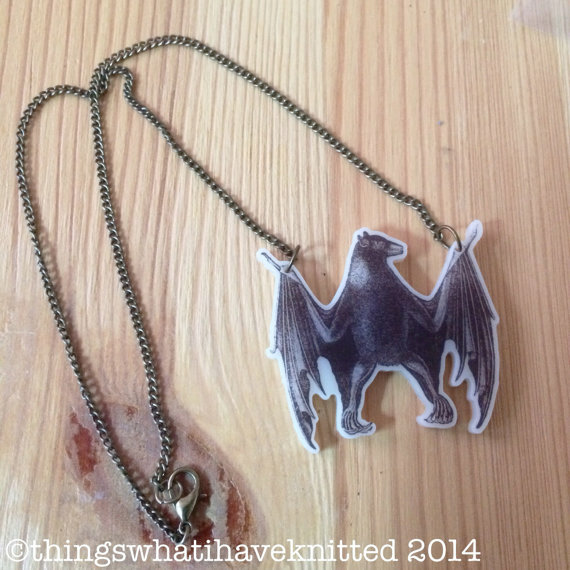 Above is a printed laser cut acrylic bat necklace from Knit Wrapped. 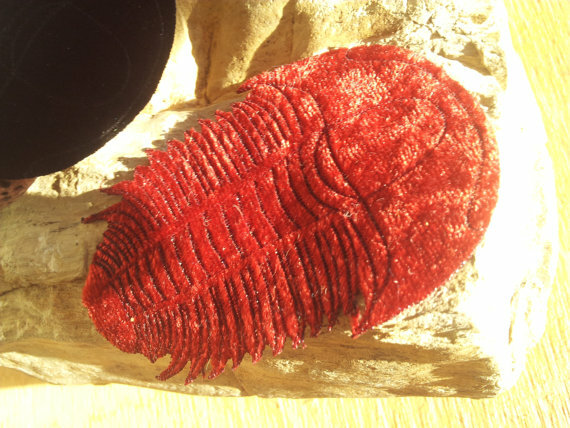 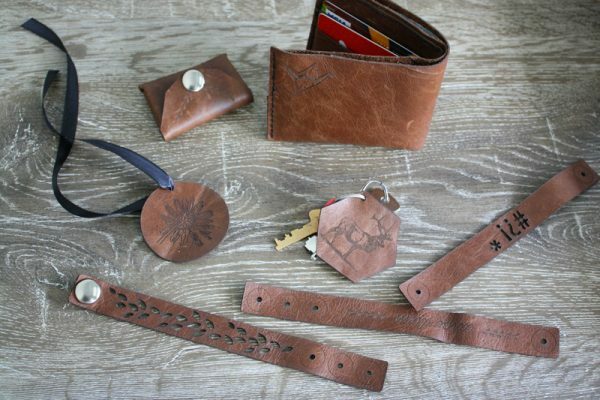 Above is a laser cur and etched trilobite patch from Biomorphics. 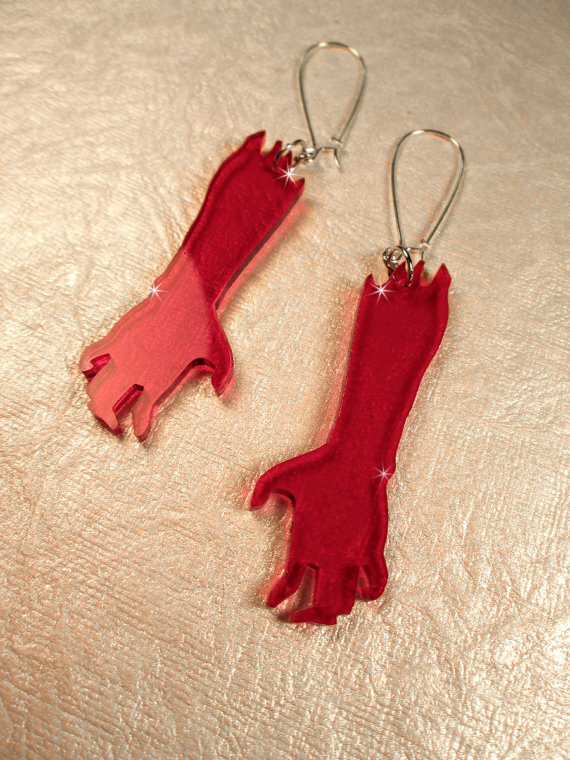 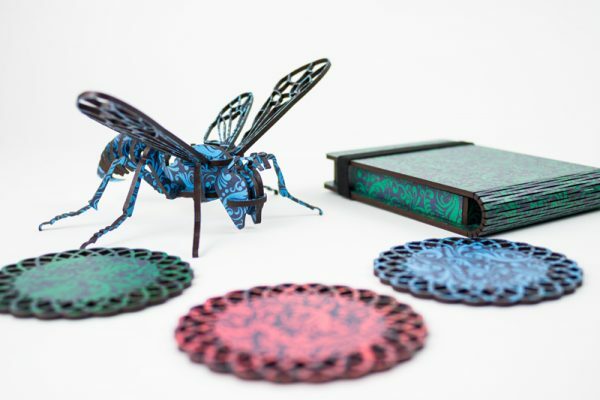 Above are laser cut acrylic earrings from Imp Art and Accessories.